I arrived at the clinic and was introduced to Alex, my therapist for the afternoon. After being shown to a super cute and kitsch floral treatment room, Alex gave me instructions usually reserved for the OBGYN clinic: Undress my lower half and cover up with the towel provided. Now for anyone new to this type of procedure, this is totally standard; you have to understand that to get a perfectly clean finish, you have to be sans underwear, it’s just that simple. Alex is an absolute pro – she understands that clients often book this particular appointment with trepidation and she instantly makes you feel at ease. There’s no awkwardness, it’s not uncomfortable at all, she tells me that she’s done it for so long now it’s the same as doing an eyebrow shape or a leg wax, it’s all about precision and providing the best service possible. So far so good. 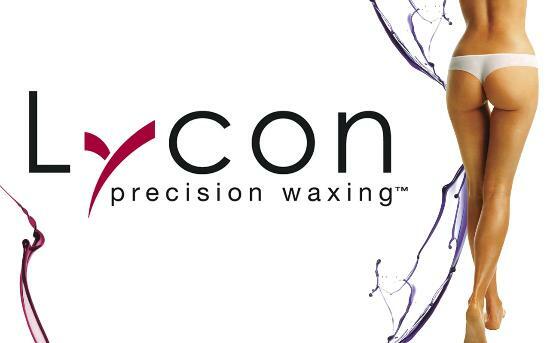 Lets pause for an interlude; the wax Alex is using today is Lycon wax. If it’s not on your radar or already part of your beauty regimen then familiarise yourself with it because you’re going to like this one – It’s very different to traditional strip wax, where the wax is applied to the skin and a cotton strip is used to remove it, removing the very top layer of skin cells with it. When it comes to intimate waxing, strip waxing can be tricky, the same area shouldn’t be covered twice meaning that if the hair isn’t removed in one go, you’ve got a problem…. Enter Lycon Precision Waxing. Using only the finest resins, natural ingredients and aromatherapy oils, Lycon delivers superior performance, removing stubborn hair as short as 1mm. The area being waxed is treated first and then the hot wax is applied directly to the hair, the wax then shrink wraps around the hair meaning that only the hair is removed and not the skin. Once set, the wax is pulled away from the skin without the need for fabric strips, it means that large areas can be done quickly and because Lycon Hot Waxes can be re-applied to the same area many times there’s no skin trauma or irritation and I can honestly say that it’s relatively pain free. So, back to Newcastle Hair & Beauty Clinic, as Alex gets to work, she chats the whole time about anything and everything, from tattoos to dungarees from Topshop, we could be in the line for the checkout at Tesco it’s so relaxed and within a mere twenty minutes I’m done. On a whim I decide to have my legs and underarms waxed whilst I’m there and before long I’m smooth all over and feeling inspired to book a holiday. There’s no stickiness or residue that’s often associated with waxing treatments and no redness so I’m good to go. So, if you want a piece of the action, get yourself booked in with Alex but don’t go telling everyone, it’ll be our little secret, right? I really like Savannah for waxing. Have you tried there? Good to know. Although I’m kinda over waxing now! I suffer from pcos which makes me quite hairy ‘down below’ . I’ve always been a bit embarrassed because of this but need to do something as shaving is literally killing my skin!